So it's official (and it must be true as two national newspaper say so!) I'm now a member of a "crack team of werewolf hunters" and an "expert" on folklore and the paranormal. 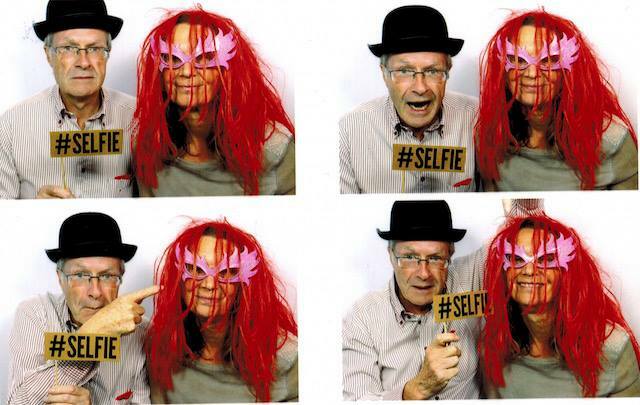 For the avoidance of doubt, Charles Christian is the one wearing the hat in these pictures. 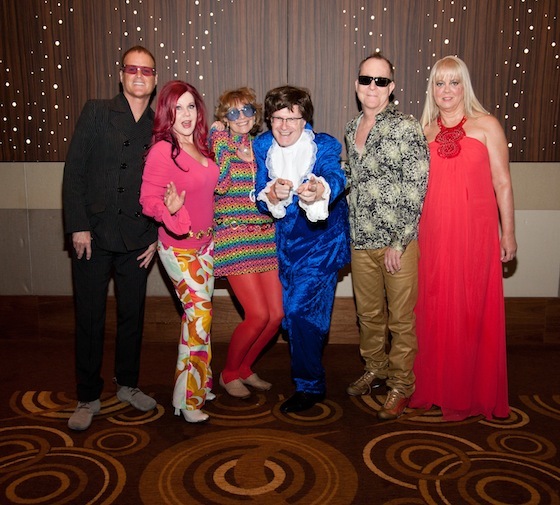 Taken in Las Vegas in June 2012: I'm meant to be Austin Powers - Jane is Felicity Shagwell - and the B52s are the B52s! Hey, that's me in with a bullet at Number #33 ! 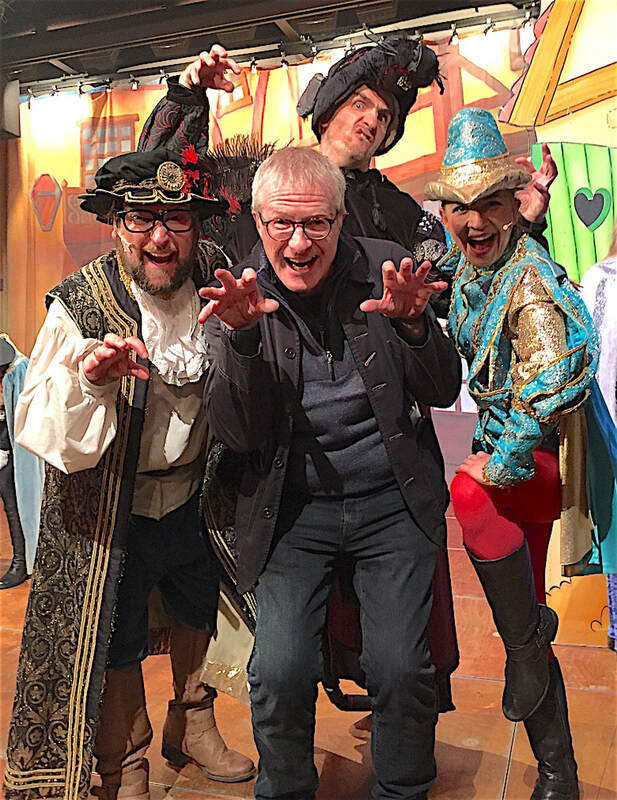 Me, doing the "Ratty thing" with the cast of the Fisher Theatre pantomime. Charles Christian is a barrister and Reuters correspondent turned blogger, podcaster, radio DJ, award-winning tech journalist and sometime werewolf hunter who now writes mainly about pop culture, folklore, history and the weird. ​Charles Christian is a barrister and Reuters correspondent turned blogger, podcaster, radio DJ and award-winning tech journalist. The Urban Fantasist website is home to his tales of pop culture, folklore, history and the weird – as well as anything else that intrigues him. His best known book is Writing Genre Fiction - Creating Imaginary Worlds: The 12 Rules. He also presents a weekly podcast: the Weird Tales Radio Show, as well as two pop music shows on Smart Radio. 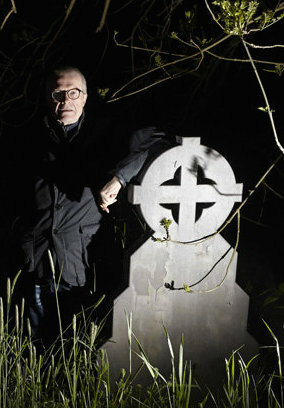 And, a national newspaper really did commission him to go on a werewolf hunt! After having a number of sci-fi and fantasy short stories published in the 1970s and 1980s, he fell out of creative writing for a number of years as mortgages, life, everything intervened. He kick-restarted his writing about a decade ago when he studied for and obtained a Creative Writing diploma from the University of East Anglia. He devised the highly successful Ink Sweat & Tears poetry webzine, building it up from zero to one of the most widely read poetry sites on the web within the space of four years. He subsequently enjoyed similar success with the popular Grievous Angel science fiction and fantasy, poetry and flash fiction webzine. His books include This is the Quickest Way Down (2011) which was long-listed for three major book awards, Secret Cargo (2013) and Tomorrow's Ghosts (2014), Writing Genre Fiction - Creating Imaginary Worlds: The 12 Rules (2014) – his bestselling nonfiction writing guide, and A travel guide to Yorkshire’s Weird Wolds: The Mysterious Wold Newton Triangle (2015) is his latest book. 2015 also saw the launch of his The 13 Days of Christmas iOS app, an experiment in bringing together a dark fantasy alternative to the traditional Christmas advent calendar. Many of his short stories have also been published online, in magazines, and in anthologies. In 2017 he began hosting a weekly podcast and internet radio show: the Weird Tales Radio Show – seeWeird Tales Radio Show page for links. And in 2018 he became a regular presenter, hosting two weekly pop music shows, on the Smart Radio GY digital radio channel. The Urban Fantasist website is home to his fiction and non-fiction publications, as well as his tales of pop culture, folklore, history and the weird – plus anything else that intrigues him.​ Urban Fantasist also hosts the Weird Tales Radio Show podcast library. For eight years he was a board member of The Poetry Trust, which ran the UK's annual Aldeburgh Poetry Festival, and has sat on the UK Society of Authors Poetry & Spoken Word Group committee. He has also been a panellist at the British Fantasy Society's annual Fantasycon events, the British Science Fiction Association's Eastercon event, as well as at local writers groups and ebook publishing events. He has performed his one man storytelling monologue The Boy with the Bomb beneath his Bed at venues and festivals in the UK and United States. A number of his one-act plays and sketches have been performed at the Maddermarket Theatre in Norwich. He has edited four poetry collections, including the 2016 Rhysling Awards Anthology for the Science Fiction Poetry Association. He is a regular contributor on English medieval history and folklore for the Ancient Origins website. He chaired the judging panel for the SCI-FI-LONDON 24 Hour Flash Fiction Challenge for seven years. For two years he served as one the judges for the internationally renowned annual Arthur C. Clarke Science Fiction Literature Award. And in 2017 he was named as one of the UK’s Top 100 Business Influencers in his capacity as an individual “whose commentary and social influence help to drive ideas and change within the small business sector”. After a brief career at the Bar in London in the mid-1970s, he worked as a corporate and IT PR consultant, including having responsibility for the UK launch of the Commodore PET, one of the first generation PCs. He then worked for a number of years as a freelance journalist – writing on a range of topics, including law and technology for a variety of publications and organisations including Computer Weekly, Lloyd’s List, Reuters, Doctor magazine (where he write a weekly medico-legal column for 10 years) and most of the legal press, including the Law Society Gazette, New Law Journal, The Lawyer, Legal Week, Computers & Law and Legal Business. During this period he was also (on a freelance basis) a consultant editor for the Law Society Gazette on technology & practice management, and the founding/launch editor of the legal IT publications Practice Today, Legal IT magazine and the Legal Technology Journal. In 1994 he was also winner of the National Newspapers Technology Journalist of the Year Award. The Insider In 1995 he formed his own business Legal Technology Insider Limited (now WordsandVision Limited) to operate as independent provider of legal technology information. This publishes the Legal IT Insider newsletter – described by The Times newspaper as “the invaluable monthly whose bright orange pages adorn the desks of most serious legal technologists” – plus a website, apps, and information resources. The LegalTechnology.com website has been described by The Times newspaper as “the UK’s definitive online resource for legal technology information”. And also For two years he was a member of the faculty at Nottingham Law School’s Department of Professional & Legal Studies and a tutor on IT-related topics for the School’s postgraduate and MBA in legal practice courses. He has run a course at the University of East Anglia on using creativity to build more impressive CVs. He has also been an adviser to the English Law Society on its annual Software Solutions Guide for solicitors, is a former council member of the UK’s Society for Computers & Law and edited the Honourable Society of Gray’s Inn Graya magazine for a number of years. Events & Books Since the mid 1980s, he has regularly been asked to speak at and/or chair legal IT and law firm management related conferences and seminars both in the UK and abroad. He has also been involved with programme planning of many of these events including: Central Law Training events, the Ark Group’s Lex conferences, Informa’s original Legal IT Forum at Gleneagles, the Legal IT Exhibition & Conference in London, American Lawyer Media’s LegalTech in New York, LawTech Europe in Prague, and the Chilli IQ Lawtech event in Australia. He also devised (and subsequently sold on) the format for the original Loties legal IT awards, later the Legal Technology Awards. More recently he devised the format and programming for the LawTech Futures series of conferences in London, where keynote speakers included the futurist Ray Kurzweil and the inventor of the World Wide Web Sir Tim Berners-Lee, and the Inside Legal IT exhibition – described as his "brainchild" – in London. He has been writing books on the subject of legal IT for over 35 years, including Computers for Lawyers (Longmans 1985) plus Legal Practice in the Digital Age (Bowerdean 1998) – described by Professor Richard Susskind as “essential reading for every lawyer in the land” plus Year 2000 Compliance – the lawyers guide to surviving the millennium bug (Law Society 1999). He has also been a contributor (on IT, online strategy and marketing topics) to a range of other books, and is the resident IT commentator for Modern Law magazine. In 2017 he was named by Sage UK as one of the UK’s Top 100 Business Influencers in his capacity as an individual “whose commentary and social influence help to drive ideas and change within the small business sector”.